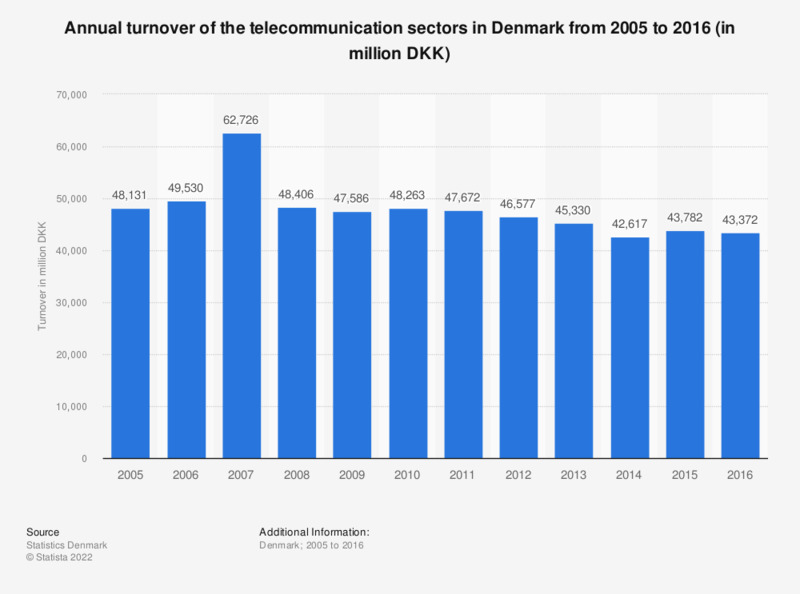 This statistic shows the annual turnover of telecommunication companies in Denmark from 2005 to 2015. The turnover of the telecommunications sector peaked in 2007 when it amounted to 62.7 billion Danish kroner. In 2015, the turnover amounted to 43.9 billion Danish kroner.